LOS ANGELES — Record label Sony BMG Music Entertainment, which got into trouble last year when it sold copy-protected CDs that inadvertently threatened PCs with a computer virus, has become the first major record label to sell an unprotected digital song. Jessica Simpson's A Public Affair went on sale this week at Yahoo Music, and unlike every digital song sold on competitors Apple iTunes, Napster and Rhapsody, it is compatible with all portable music players. 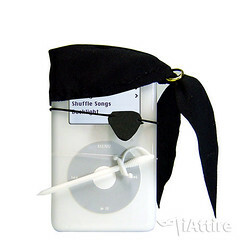 The song is in the open MP3 format and can be transferred to an Apple iPod or players by Creative, Samsung and others. Record labels have refused to sell songs without digital rights management (DRM) in the past. Consumer advocates hope this is the beginning of a trend. "It's about time," says Fred von Lohmann, a senior attorney with the public interest group Electronic Frontier Foundation. "This is an important signal that the labels may be finally realizing that DRM is hindering the size of the market." Sony BMG played down the significance of the release. The song, on Yahoo, is "personalized" — there are 500 versions, each including a different first name, from Aaron to Zach, that consumers can search for. The label says it would have been too complicated to release all 500 with DRM. Ian Rogers, who runs Yahoo Music, wrote about the deal on the Yahoo Music Blog, calling it a breakthrough for music fans. "As you know, we've been publicly trying to convince record labels that they should be selling MP3s for a while now," Rogers wrote. "Our position is simple: DRM doesn't add any value for the artist, label ... or consumer. The only people it adds value to are the technology companies who are interested in locking consumers to a particular technology platform." Apple competitor eMusic has quietly become the No. 2 digital music service after iTunes by selling unprotected MP3s. However, eMusic sells only music from independent labels, and Yahoo and others have been calling for major producers to follow eMusic. Ted Cohen, a former top executive at EMI Music who now runs consultant TAG Strategic, says rivals will be watching the results closely. "This gives us all something to go on, to see what the consumer reaction will be," he says. He doesn't think it signals the beginning of the end of DRM. "If anybody thinks DRM will be gone in six months, well, that's not about to happen." After Sony BMG's ill-fated copy-protected CD plan, the label was forced to recall more than 5 million CDs and pay refunds. At the time, Sony BMG and label EMI Music said all new U.S. releases in 2006 would be copy-protected. Those plans have since been shelved.